In my youth, it was a stereotype that South America—especially Argentina—was crawling with Nazis in the aftermath of World War II. That wasn’t entirely false, given the presence of monsters like Josef Mengele in Argentina, Paraguay and Brazil—but it was also self-serving when the United States itself allowed many Nazis and their collaborators into North America after the war. For South America, the best account of this history may be Uki Goñi’s The Real Odessa, which details the manner in which the government of Juan Domingo Perón—colluding with the Vatican in so-called “ratlines”—admitted escapees from European justice immediately after the war. If many such stories are prone to exaggeration and even fabrication—a cottage industry of “Hitler in Argentina” publishing still exists—there’s concrete truth in the tales of individuals such as Mengele, Erich Priebke, and especially Adolf Eichmann. 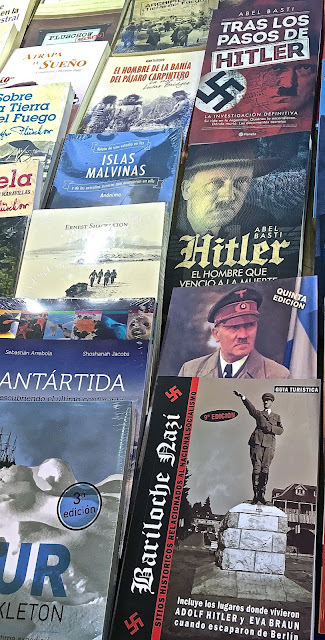 This selection of titles at the 2016 Buenos Aires book fair suggests the worst of "Nazis in Argentina" publishing. Eichmann, of course, made international headlines when Israel tried, convicted and executed him for crimes against humanity in the early 1960s. His story has recently reached the big screen in director Chris Weitz’s Operation Finale, about the Nazi functionary’s capture and abduction by Israeli agents in the “Zona Norte” sector of Buenos Aires suburbs. It’s also available for streaming, for a charge (below is a trailer; I watched on iTunes). As an Obersturmbahnführer (Lieutenant colonel) during the war, Eichmann organized Jewish deportations to various death camps but, after the war, he evaded capture and eventually reached Argentina with false documents. There, living under the pseudonym “Ricardo Klement” in the northwestern suburb of San Fernando, he kept a low profile. Played by Ben Kingsley, Eichmann is a creature of habit and, after the Israelis stake out his home and observe his commuting routine—taking the same bus at the same time every day—they manage to spirit him away to an apparently nearby safe house (Weitz filmed in the western suburb of Hurlingham, but I’ve no idea where the actual house was). First denying his identity, Eichmann presents himself as a simple bookkeeper and family man before eventually, under interrogation, admitting who he is. Even then, he refuses to sign an Israeli-drafted agreement to stand trial in Israel, spurring arguments among his captors about forcing him to do so. Eventually, though, Israeli agent Peter Malkin (portrayed by the Guatemalan-American actor Oscar Isaac) persuades Eichmann to sign, with a promise that he will again be able to see his wife and family. It’s worth stressing here that, for all the espionage and skullduggery, this is not an action thriller, but rather a psychological drama. After signing, Eichmann delivers a snarling justification of his role in the Holocaust, but there remains the task of spiriting him aboard an El Al jet to return to Israel—a task which, despite some apparent over-dramatization here, goes off without a hitch. The following year Eichmann went on trial in Jerusalem and, after he exhausted his appeals, the Israelis executed him by hanging in mid-1962. Before his execution, though, the Israelis honored Eichmann’s request to see his wife. In early 2016, on the occasion of President Barack Obama’s trip to Buenos Aires, I wrote a short summary of US presidents’ visits to Argentina. It started with Theodore Roosevelt (an ex-president at the time of his visit) and continued with Dwight D. Eisenhower, the recently deceased George H.W. Bush, Bill Clinton, and George W. Bush. Now, for better or worse (evidence suggests the latter), it’s time for an update. More than a few Argentines thought little of George W. Bush. 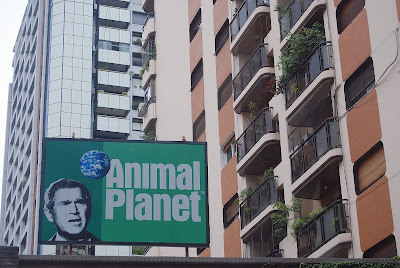 Over the weekend, as almost everybody knows, Donald Trump traveled to Argentina’s capital for the annual G-20 summit of the world’s leading economies, at the Centro Costa Salguero (not far from our apartment in Palermo). With concerns about security, the Argentine government declared Friday a holiday and encouraged people to leave town for a long weekend. Trains and subways were shut down for the duration and, from all accounts, the city felt like a ghost town. Trump's own punctuation, subconsciously at least, undermines his legitimacy. In an interview today, Argentine president Mauricio Macri revealed that Trump didn’t even want to attend and, from his apparent disinterest in diplomacy, he couldn’t wait to get out. In fact, when Trump was supposed to join the other heads of state for a photo, he marched right past Macri and off the stage (though he eventually rejoined). He did assent to most of the conference’s outcomes with the notable exception of the Paris agreements on climate change, where his denial of the issues makes the US a pariah on the most critical environmental crisis of these times. Ironically enough, in a tweet he issued today, he appears to have doubts about his own legitimacy. 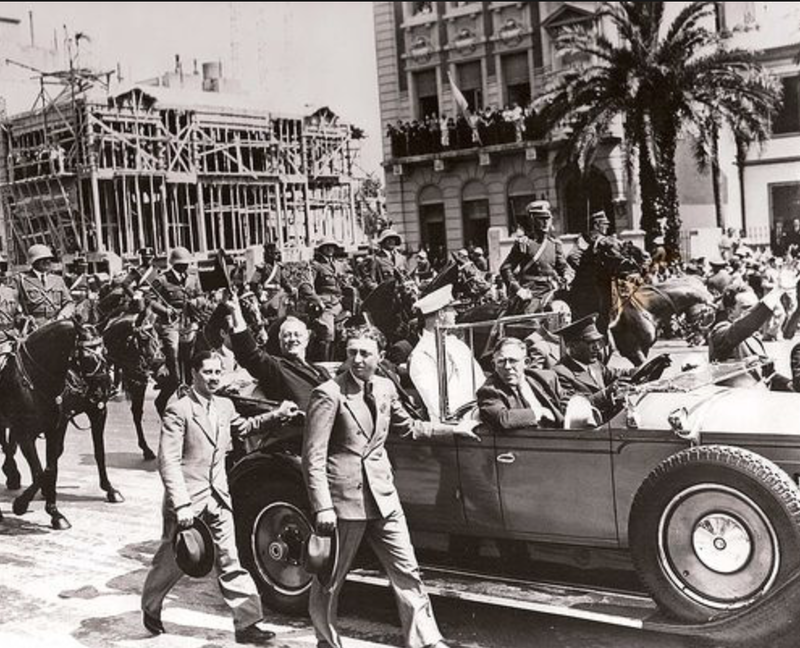 When I wrote the previous article, I was unaware that Franklin D. Roosevelt—arguably the greatest president ever—had visited the Argentine capital in 1936, on an extended cruise through the Americas (at the time, there was no Air Force One to jet the chief executive overseas). Roosevelt spent only three days in Buenos Aires, from November 30 to December 2, addressing the Inter-American Conference for the Maintenance of Peace. One of his goals was to encourage a front of opposition to encroaching European fascism. The text of his speech is online at the FDR Presidential Library. 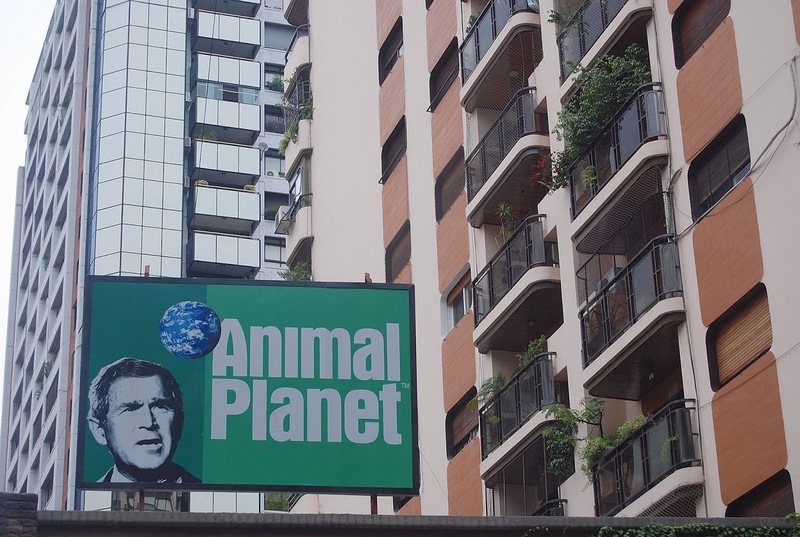 It’s noteworthy that, in 1961, local authorities changed the name of Calle Guanacache, in the northern barrio of Belgrano, to Franklin D. Roosevelt. The current White House occupant, who’s succeeded in making the rest of the world share the skepticism that many Argentines always do of US presidents, is unlikely ever to achieve any such recognition.